Lang began his tenure as interim dean of the College of Liberal Arts & Sciences at KU on April 30, 2018. Most recently, Lang was chair of the African & African American Studies Department. Lang first arrived at the University of Kansas in the spring of 2011 as Langston Hughes Visiting Professor. He began a full-time appointment in the spring of 2012, when he joined the faculty of the Department of African & African-American Studies as an associate professor, later taking a partial appointment in the Department of American Studies. He became chair of the Department of African & African-American Studies in 2015, and was promoted to the rank of professor and given the title of Dean’s Professor of Liberal Arts & Sciences soon after. Most recently, he has served as acting, then interim director of the Hall Center for the Humanities, beginning in fall 2017. He previously served as chair of the Hall Center for the Humanities’ Executive Committee. During the 2015-’16 academic year, Professor Lang also was a Senior Administrative Fellow in the Office of the Provost and co-chair of the university’s Diversity, Equity & Inclusion Advisory Group, which issued a report in the spring of 2016. 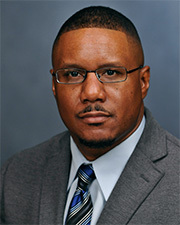 Professor Lang’s other service to the College and university has involved his work as acting director of graduate studies in American Studies, president of the Black Faculty & Staff Council, McNair Scholars Mentor, and membership on the Langston Hughes Visiting Professor Committee, Bill Tuttle Distinguished Lecture in American Studies Committee, the University Core Curriculum Committee, and the University Press of Kansas Editorial Committee. His broader community service has included the board of directors of the Douglas County Historical Society, as well as his current place on the board of directors of Humanities Kansas (formerly the Kansas Humanities Council). A specialist in African-American urban history and social movements in the Midwest and Border South, Professor Lang is the author of two books: “Grassroots at the Gateway: Class Politics and Black Freedom Struggle in St. Louis, 1936-75;” and “Black America in the Shadow of the Sixties: Notes on the Civil Rights Movement, Neoliberalism, and Politics.” In addition, he is co-editor of “Anticommunism and the African American Freedom Movement: ‘Another Side of the Story’” (with Robbie Lieberman); and “Reframing Randolph: Labor, Black Freedom, and the Legacies of A. Philip Randolph” (with Andrew Kersten). His articles and essays have appeared in such periodicals as Journal of African American History, Journal of Social History, Journal of Urban History, Race & Society, New Politics, The Chronicle of Higher Education, American Studies Journal, LaborOnline, and Critical Sociology. An Organization of American Historians Distinguished Lecturer, Professor Lang serves on the editorial boards of Journal of Social History, Journal of Urban History, The Black Scholar, and Journal of Civil and Human Rights. He is a past member of the board of directors of the Labor and Working Class History Association, and the executive council of the Association for the Study of African American Life and History. Professor Lang came to KU from the University of Illinois at Urbana-Champaign, where he earned his doctorate in history and was a faculty member in the Departments of African American Studies and History. As an assistant professor at Illinois, he was a Helen Corley Petit Scholar in the College of Liberal Arts & Sciences, and a Faculty Fellow with the Illinois Program for Research in the Humanities.